Max Maxwell Duality Exhibition: Max is a contemporary visual British artist. He initially worked as a creative assistant to artist musician Brian Eno on a series of projects relating to set and lighting designs for live musical performances entitled ‘Opal Evenings’. The designs incorporated sculptural, suspended forms with light projections. A series of projects followed with Max creating concepts for pop videos, contemporary dance, exhibitions and live events such as Amnesty International. His works have been exhibited in group and solo shows and selected for the Cannes Film Festival. More recently, Max has concentrated on site specific installations, including churches and a kinetic light installation on the River Thames. A common theme in his work is the transformation of materials and also their relocation in order to show qualities within the material which are not normally visible. Recent video installations involve the transformation of metals using the technique of electrolysis. 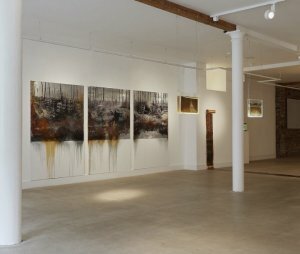 Max’s solo exhibition, ‘Duality‘, at No 20 Arts gallery, Islington, London, features a body of work that includes painting, sculptures and video installations exploring dichotomies that preoccupies the artist the most. Each piece is testimony to the relationship between the positive and negative, construction and destruction, conflict and reconciliation, beauty and decay. Max was interested in our aluminium honeycomb and the effect of chemical process on its appearance. He requested a variety of honeycomb samples to experiment with to assess the results of different chemical processes. 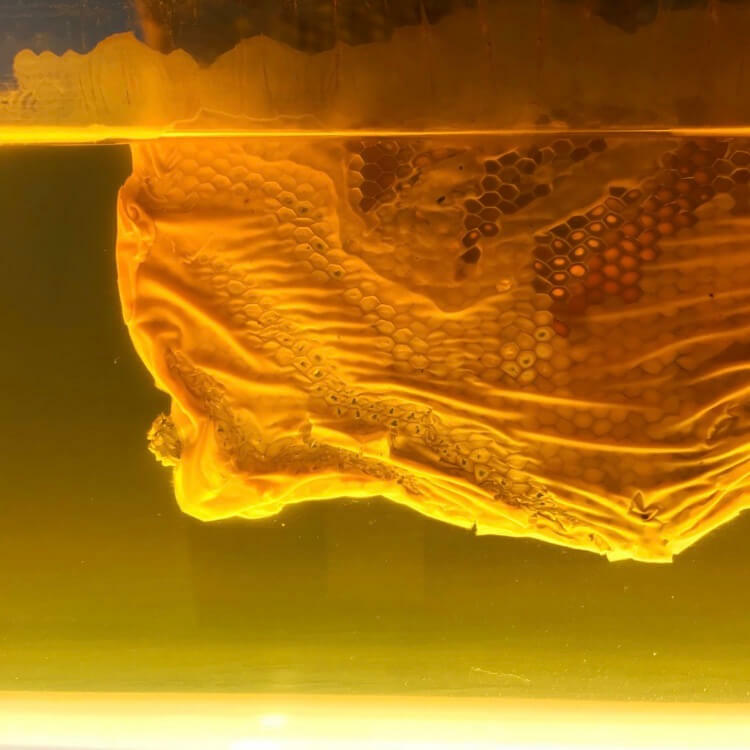 Max tried electroplating the honeycomb but it did not alter much, so he decided to work with the characteristics of the material, instead of against it, covering the aluminium honeycomb in resin and suspending it in an illuminated perspex tank. This achieved the desired effect for his exhibition. Max created a piece called ‘Honeycomb‘ which formed part of his ‘Duality‘ exhibition showing the transformation of materials that are not normally visible. The other exhibits include a life-size Victorian dress made entirely of copper and a panel painting of World War 1 on aluminium panels showing war-torn Syria, with rusty pieces of metal swarf exuding from the panels. The centre of the exhibition is Dark Star, showing the transference from one state to another, a block of ice slowly melting onto a hot plate, the water revealing intriguing forms and colours. The exhibition was held from 15th June -29th July 2018. No 20 Arts is a centre for contemporary arts. It is a multi functional space, which hosts a programme of exhibitions, performances and events which support emerging and established artists working across all media.